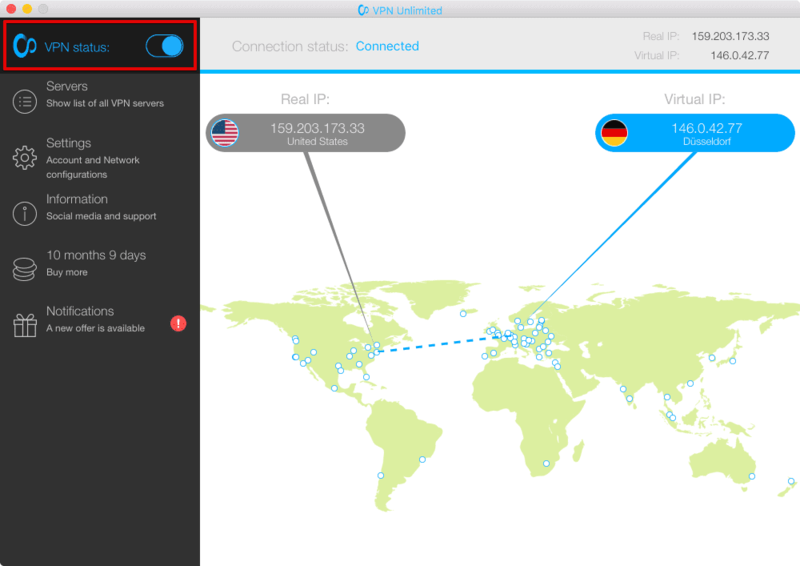 VPN networks allow users to change their IP addresses and safely browse the Internet. In this article, I want to teach you how to change your IP address location to USA (or any other one). Before we start, I’d like to mention what is an IP address, how it works and why should you change it. IP or Internet Protocol is a framework for Internet activities. This protocol established two-way communication, as it assigns a unique number address to every device connected to the web. In general, its main goal is locating and identifying an Internet user online and making sure that devices can access sites and their content. You should not worry about VPNs and proxies as long as you are browsing your private home network. Still, while being out and using public Wi-Fi networks, it is recommended to use a VPN connection, as it makes your web-surfing safe. No one will interfere with your data or know what you are doing on the Internet. Another reason for using VPN is monitoring of your data by Internet providers and other third-party companies for advertising purposes. What’s more, they may do that without your consent! Well, using VPN will keep you safe from tons of ads. They also say that government tracks folks’ activities in the web, so you can keep your data safe from the officials. You may use another IP address to access blocked websites. There are some resources that are visible only to the US or only the EU, etc. Just change your location with VPN and get access to all the content you need. VPN changes your IP address, so you can keep calm and be sure that no one will track your physical address and no one will ever find out what you were doing on the Internet. Every VPN provider has its own instructions, as long as they offer Mac users different apps. Under the first line called ‘VPN Status’, you can see the ‘Servers’ tab, which provides you the list of all available VPN servers. Click on it. Select the server of your choice. It depends on where you are now and what IP address you want to get. As long as my real IP is in the US already, I’d select a German IP. You may make another choice and change your VPN on Mac to the USA from another country. That’s all! You can browse the Internet just like usual but under another IP address. So, you now see that changing VPN on Mac to the USA or any other country of your choice is easy and doesn’t require much time and efforts. Still, if you use another VPN provider, you should check out their manuals and find own way of changing your IP address location.